This contemporary collection is made from sterling silver. 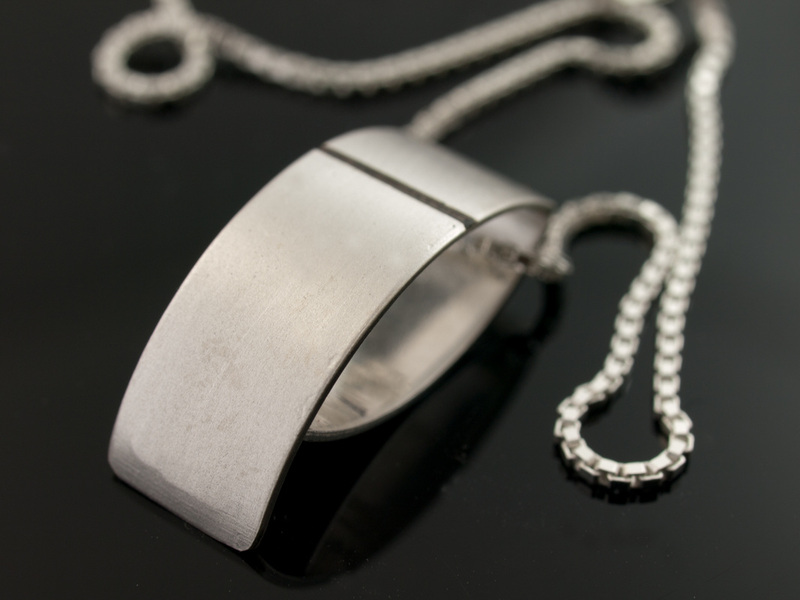 It has a satin finish to emphasise the oxidised line which has been inscribed into the silver. The pendant measures 25mm and is supplied with a 40cm (16”) chain. 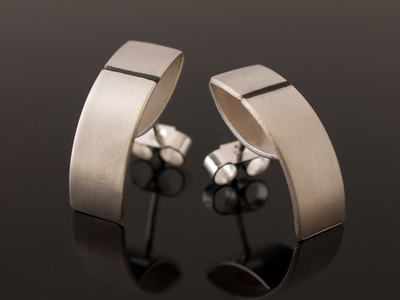 Earrings are approx 20mm.